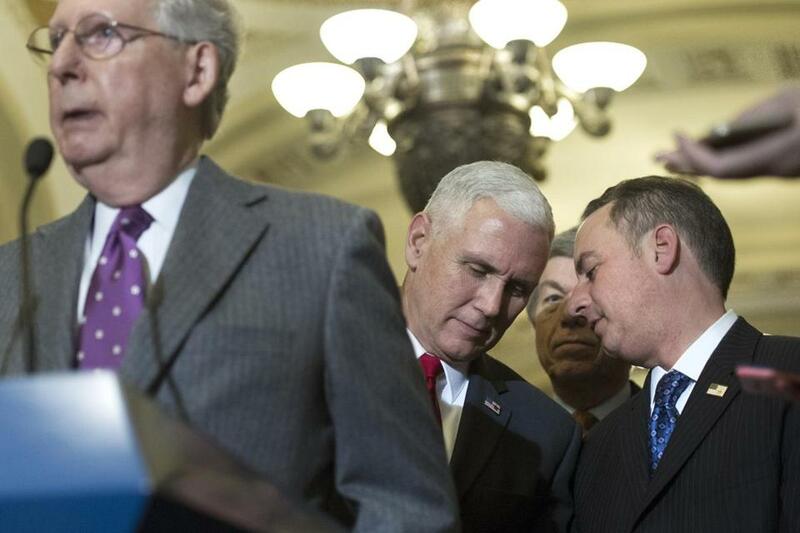 Vice President-elect Mike Pence spoke with Reince Priebus, chief of staff for President-elect Donald Trump, right, as Senate Majority Leader Mitch McConnell spoke at a news conference last week. This week, Congress aims to take steps toward repealing the Affordable Care Act without proposing a replacement. If Congress and the new administration take that path, it will have enormous consequences for the future of health care in America — and for Americans like Elizabeth Hand, a writer and mom of two children in rural Maine. Elizabeth says the Affordable Care Act saved her about $4,000 in her first year of coverage — and possibly her life. Before the law passed, Elizabeth was paying for a private plan with premiums that ate up much of her monthly budget. On top of that, it didn’t give her the quality of coverage that she and her two kids needed — like preventive care at no out-of-pocket cost, or coverage for many routine doctor visits. So when the Marketplace opened for business, Elizabeth found a plan for about a tenth of what it had cost before — her deductible dropped from $15,000 to $1,500. Thanks to her coverage under the Affordable Care Act, Elizabeth got a routine colonoscopy at no out-of-pocket cost. That screening found a precancerous polyp — one that indicated a highly aggressive form of colon cancer. Fortunately, Elizabeth caught it early. For Elizabeth, and for millions of Americans around the country, that’s the reality of the Affordable Care Act. Health insurance you can afford, and coverage you can count on to protect you when you get sick. 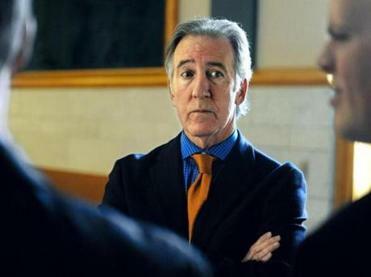 US Representative Richard Neal is about to emerge from the congressional shadows into the national spotlight. Today, I’ll be giving a speech with a few of those Americans joining me. They’re speaking up to help move the debate around the Affordable Care Act away from rhetoric and closer to reality. The reality of the Affordable Care Act is that 20 million people have gained coverage. Because of the law, nearly everyone’s coverage is stronger today — whether they get covered through Medicaid, Medicare, private plans through the HealthCare.gov Marketplace, or their jobs. And the law has helped hold down health care cost growth across the nation. It’s made progress in the access, quality, and cost of coverage. The Affordable Care Act isn’t perfect. No law is. That’s why President Obama has laid out a number of ideas to tackle the health care challenges we still face. He’s discussed how to help communities that don’t have enough competition in their health care markets. He’s proposed ideas to address rising prescription drug costs. And he’s called on Congress to take a page out of Massachusetts’ book and increase the law’s financial help for families who still struggle to afford coverage. That’s helped Massachusetts achieve the lowest uninsured rate in the nation. But expanding coverage at an affordable price isn’t easy. And one of the most important things I’ve learned from implementing the Affordable Care Act is that if a plan sounds too good to be true, it usually is. Over the coming months, you’ll hear ideas like keeping the law’s protections for people with preexisting conditions while eliminating other parts of the law that make those protections possible. You’ll hear proposals to lower the price of coverage by lowering standards. And you’ll see some ideas like turning Medicaid into a block grant in order to shift costs from the federal budget onto the backs of states and vulnerable people. All of these ideas promise a free lunch, but that doesn’t exist in health care. There are no silver bullets. Instead, there are hard choices with real consequences for many Americans. Congress plans to take steps toward repealing the Affordable Care Act without any replacement. Opponents of the ACA have had six years to coalesce around a replacement plan, and they have not. Now they’re asking us to trust that they will in a few more years. But the stakes are too high to move forward on repeal without knowing what comes next. Under a “repeal and delay” scenario, health insurers would pull out of the market or dramatically raise prices. Hospitals and states would pull back on new investments as they prepare for an onslaught of uncompensated care. And if we ultimately went over the cliff, our national uninsured rate would jump from the lowest in history to higher than it was before the Affordable Care Act, according to independent experts. In every state in New England, the rate of the uninsured would more than double. Americans from all walks of life have a stake in the future of health reform, and it’s time to build on the progress we’ve made, not move our system backward. In the end, the people who face the consequences of these decisions are people like Elizabeth — people who are living healthy and productive lives thanks to the Affordable Care Act. For their sake, and for millions just like them, we need to focus on the substance of the choices our nation faces, and the reality of repeal. Sylvia Mathews Burwell is the US secretary of health and human services.